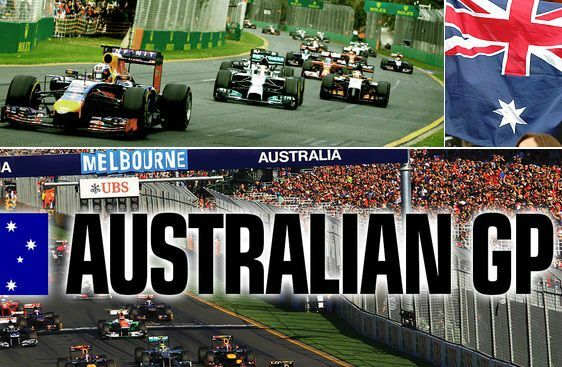 It will be the 20th Formula Grand Prix race in Australia’s famous Albert Park come this weekend 15th March 2015. As the new season gets underway all teams will be looking to get a head start with Mercedez coming into the first GP of the year as favourites in Melbourne. Lewis Hamilton is odds on favourite for the race closely followed by Nico Rosberg while Daniel Ricciardo will be starting his home race as one of the top three favourites with odds at 18/1 to win the race. Mercedez are are hot favourites as far as constructors championship is concerned with 1/20 odds been offered with Williams and Ferrari at 20/1 and 18/1 respectively. So after a massive success in 2014 season is there any team able to stop Mercedez dominance heading into the 2015 season ? well we will know in a weeks time and you can follow all the live action from first practice session to the sundays big race right on this page. Here is the entire schedule of the weekend and we have placed information on how can you access free live streaming of Formula 1 2015 Australia Grand prix. We will place SkySports coverage stream on this page plus couple of alternative streaming links which will have american and Spanish coverage of the race. You might want to bookmark this page and comeback on this page shortly before the start of every session to catch live action for free.